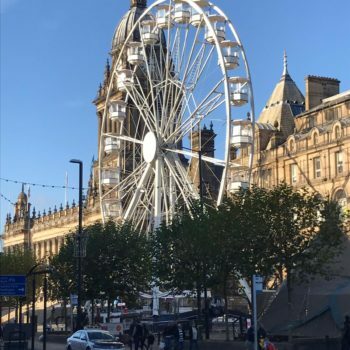 With the festive season upon us and lots of presents to buy, town can be pretty full-on with little ones in tow. 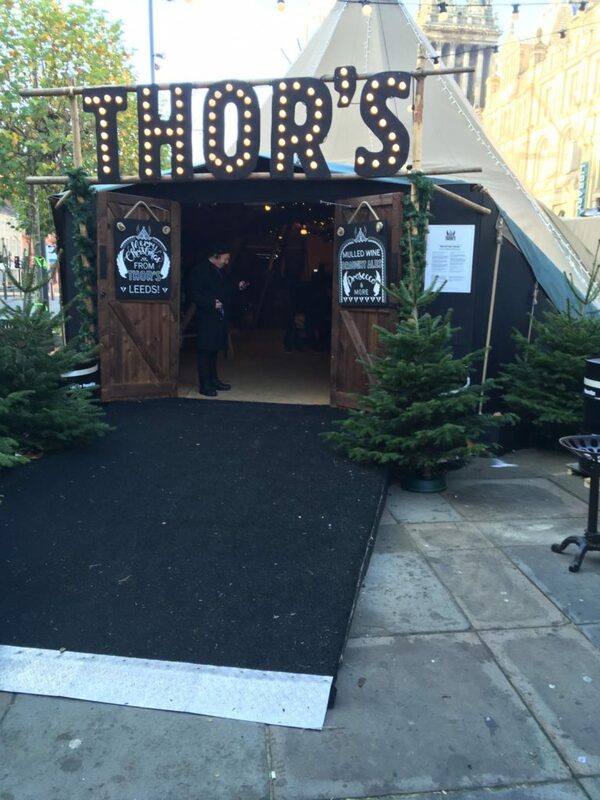 Thankfully Thor’s Tipi offers a welcome pitstop in a Viking setting. 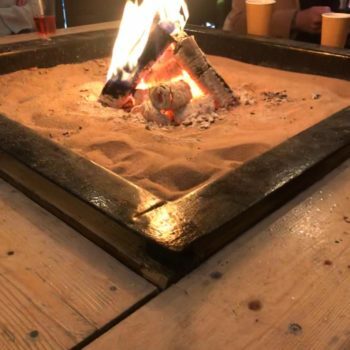 We visited Thor’s Tipi last Sunday in a bid to get out of the rain and were welcomed with a roaring firepit and a cosy atmosphere. 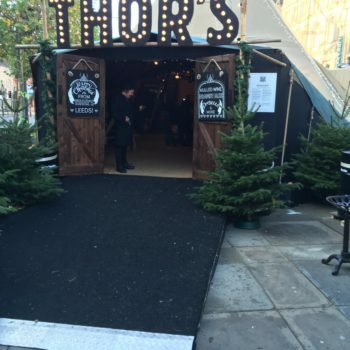 Thor’s Tipi bar is made up of two canvas Tipi’s, styled with lighting, foliage, wooden benches, barrel tables, and fake furs, to create the ultimate Viking Experience in the heart of Leeds. 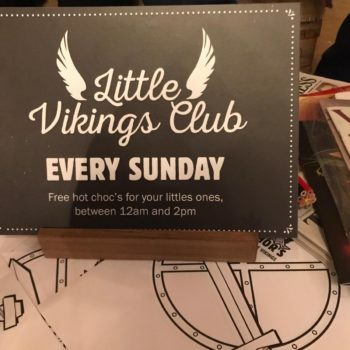 What’s more, on Sunday’s they have a Little Vikings Club where there are masks and pictures to colour in, and free hot chocolate for children between 12pm and 2pm, as well as Sunday newspapers for the adults. And most importantly for those little bladders, they have toilet facilities! 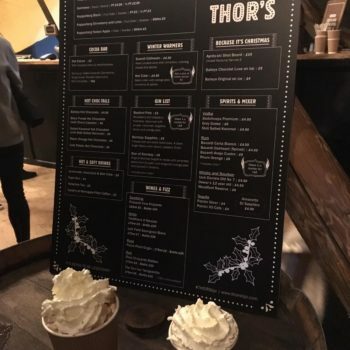 We sampled the hot chocolates, which were topped with marshmallows and whipped cream, and for a festive twist, we added gingerbread syrup – yummy! 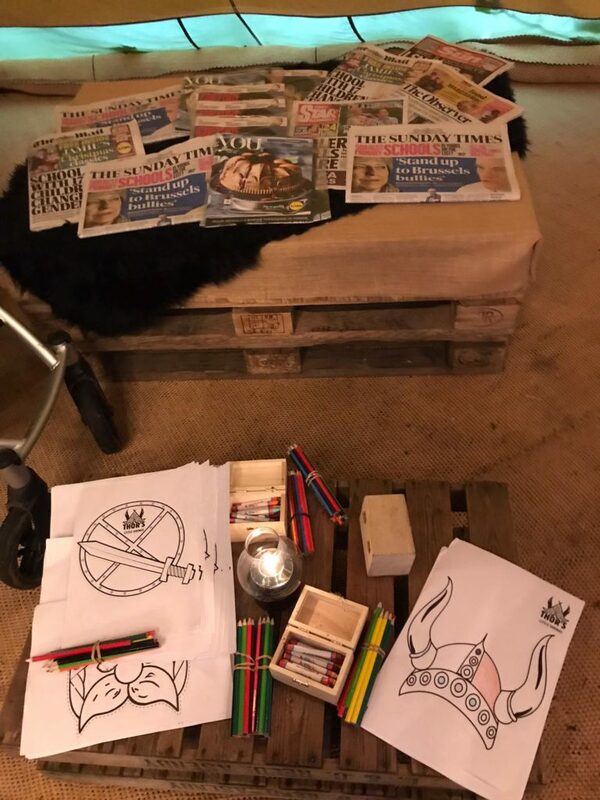 Emily and I also tried our hand at colouring in a traditional Viking Helmet. 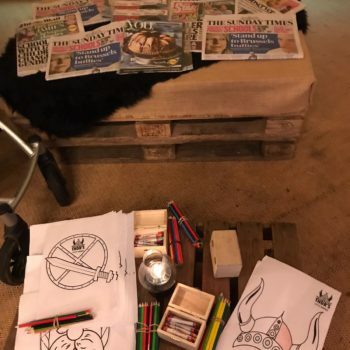 Both were a hit! 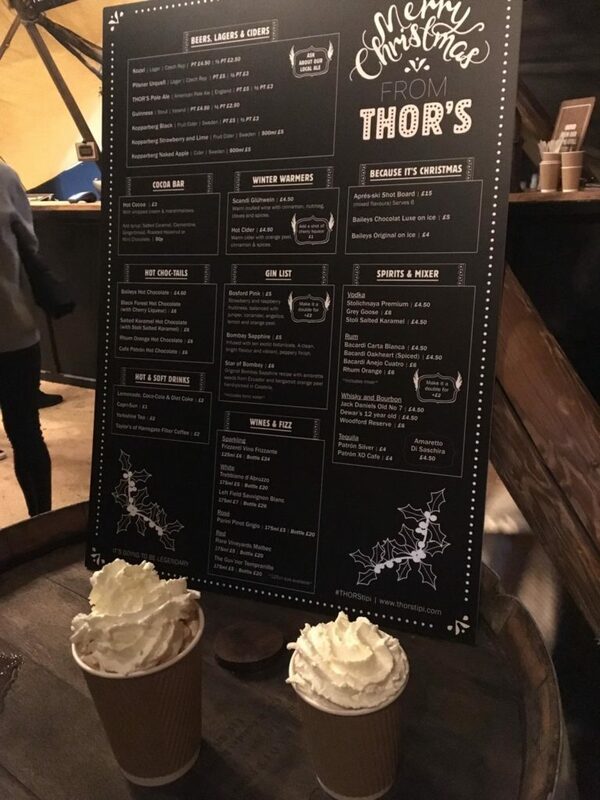 In addition to the hot chocolate, they serve a range of drinks, both alcoholic and non-alcoholic to get you into the festive spirit. 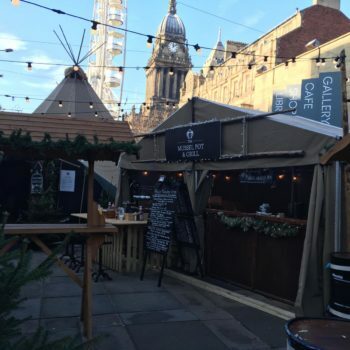 And The Mussel Pot serves street food just outside from burgers to Raclette, and of course, Mussels. 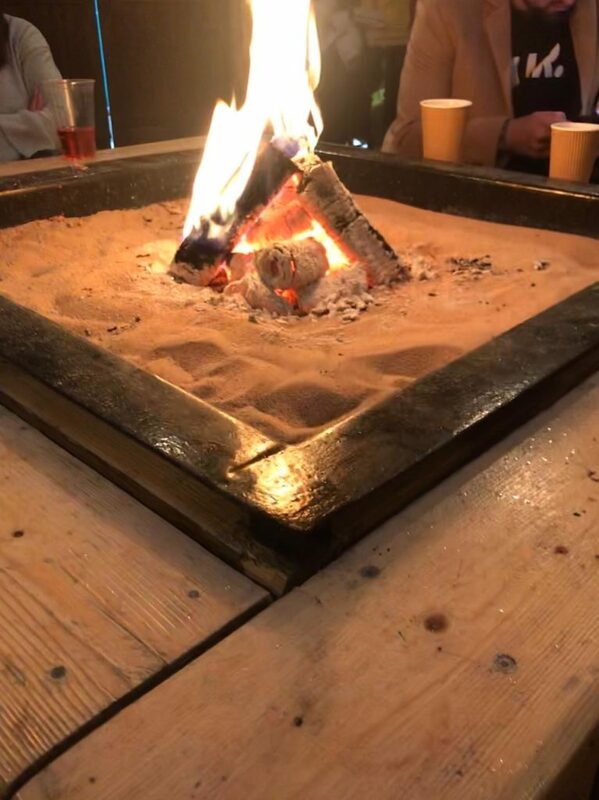 The outside area is also heated, allowing you the choice to enjoy your food inside or outside the Tipi. 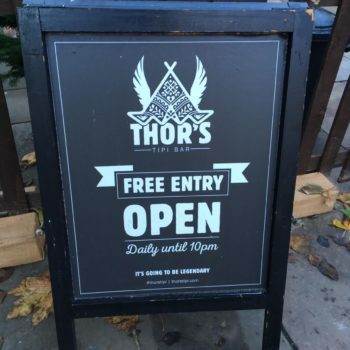 It’s worth noting that this is the third year Thor’s Tipi has been running and because of its popularity it can get rather busy so it’s advisable to go early with little ones, and avoid prams where possible. 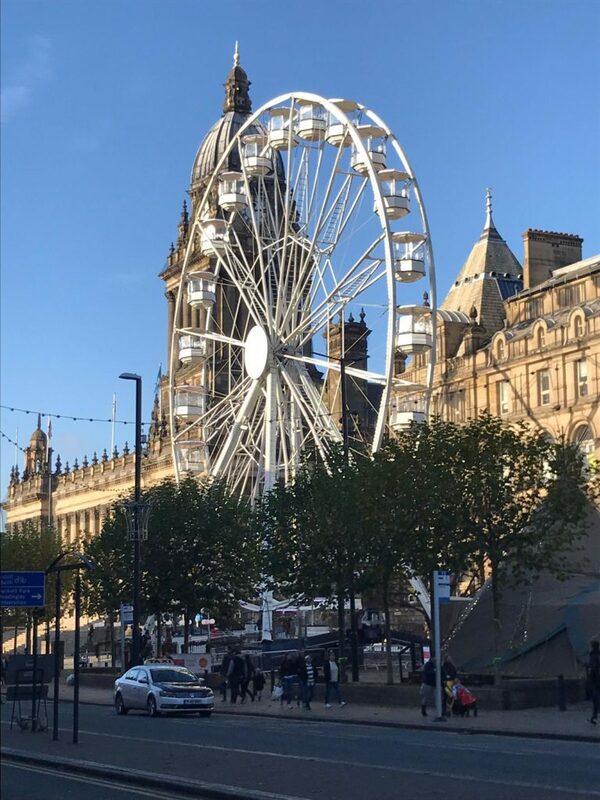 Surrounding Thor’s Tipi is the Leeds Christkindel-fair; including rides for little ones such as a roundabout train, flying aeroplanes and dodgems; as well as the Leeds Wheel of Light, where the whole family can see the city from a different perspective. 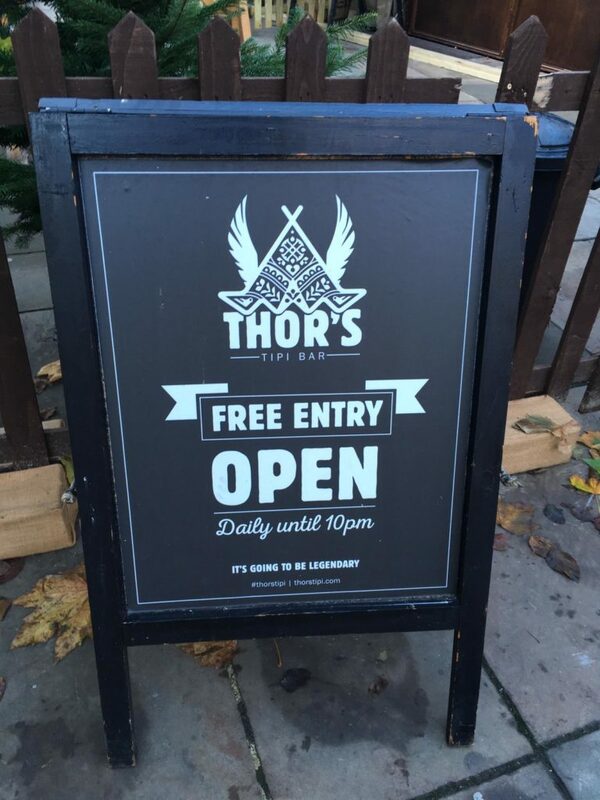 Thor’s Tipi is open daily from 12pm-10pm (little Vikings are allowed until 9pm). 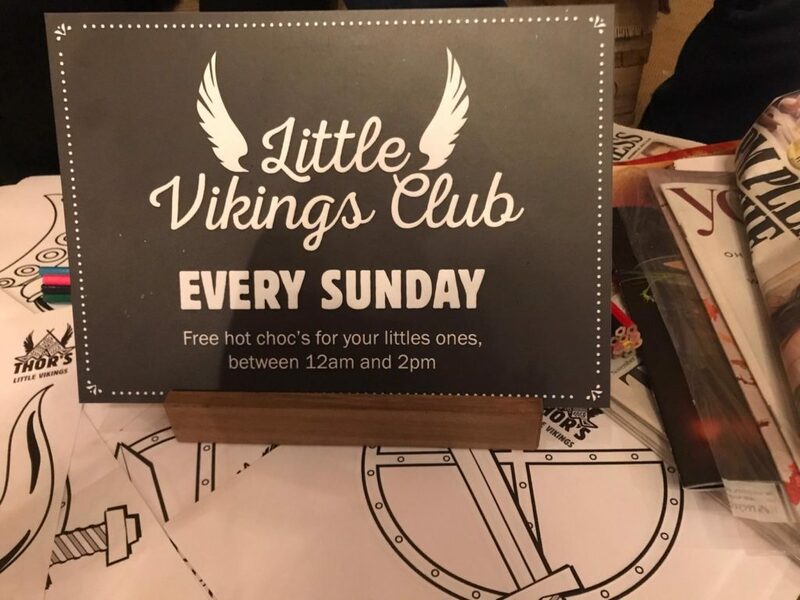 Entry is free and it will be running until 31st December 2018. 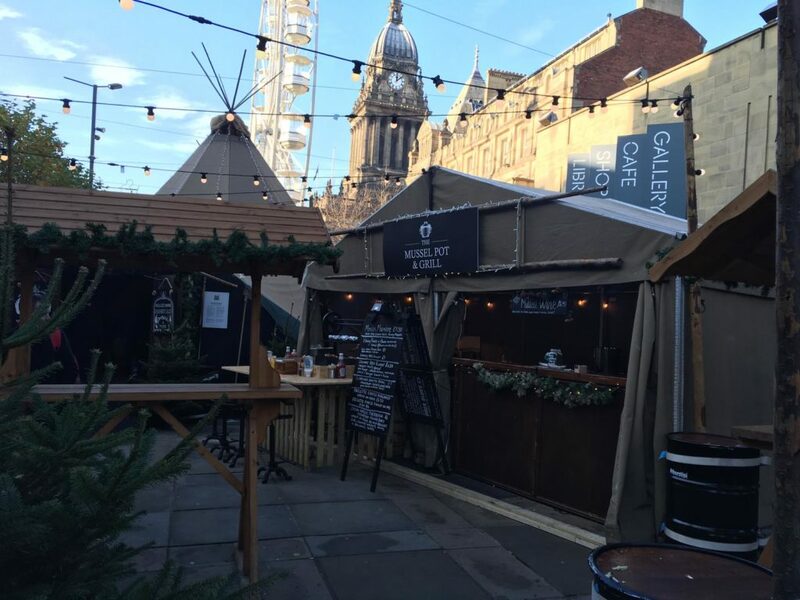 So, if you find yourself at a loss in town, or just fancy a short break away from the hustle and bustle of Christmas shopping, Thor’s Tipi is a good choice for a pit stop.